This breathtaking architectural masterpiece located in Canmore, Alberta, Canada is a world class estate in the exclusive gated community, The Cairns on the Bow. 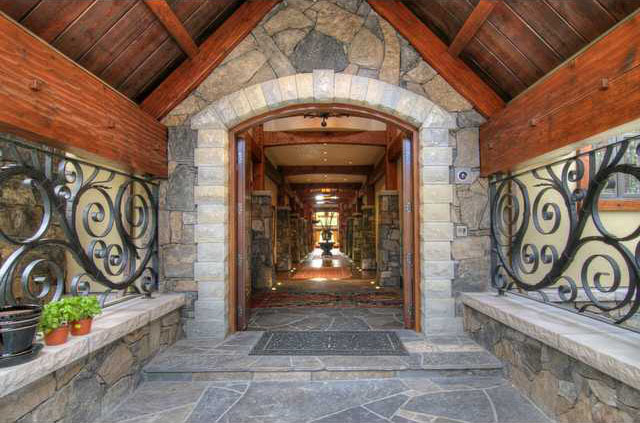 The estate is a private castle in the Rocky Mountains offering 11,058 square feet of living space. There is a hidden staircase that leads down to a stone-walled grotto with waterfall and gated wine room. The exquisite residence has an asking price of CAN$12 million.